Indeed, as described by Dirk Jan Struik, on his days off Karl Marx parsed the historical variants of the differential—Newton-Leibnitz, D’Alembert, and Lagrange—in favor of one of his own—albeit 19th century—making. Marx thought the classical approaches tautological, each preparing the derivative before differentiation. In addition, he thought the derivative actually emerges only when the increment reached 0, not just on approach. In other words, differentiation isn’t merely approximately true, as it is still often taught today. Although his conclusions were in line with his materialism, there’s little polemic on Marx’s part here, but such jabs could be worth the effort. Could we in our most skeptical moments trace political machination, however unintended, down even to the operators chosen? Even a time-delayed Markov chain or its Monte Carlo variant, for instance, can on its own whitewash the richness of the concept and implications of path dependency, whether as a historical constraint or as a creative force, depending on one’s perspective. A landscape’s historical present embodies a complex interplay between past and present, neither effortlessly remade independent of history nor enslaved to a static past. 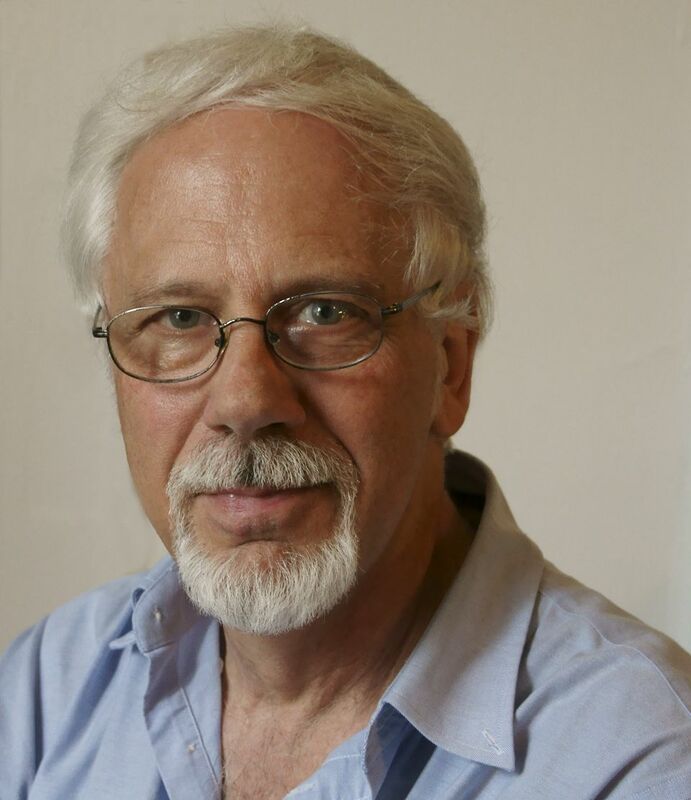 Rod’s running buddy Peter Gould meanwhile wrote of the ways SIR systems of the Robert May school disappear social epidemiologies in favor of the Wellcome Trust program. In 1971 a trip to the Bronx Zoo by subway was unremarkable. The view from the train as it emerged above ground in the South Bronx was the usual New York City amalgam of densely packed old and new-law tenements interspersed with small industrial sites, public buildings, and wood-frame houses, encompassing a poor but lively community life. A series of trips on the nation’s single ‘premier’ train, the Metroliner, which runs between New York City and Washington, DC, provides snapshots of decaying and abandoned industrial installations which are as compelling and horrifying as the visions of the South Bronx seen from elevated subway tracks. The train conceit is the kind of integrative epistemology we would hope steers our best instincts as scholars. I found it had a profound effect on my own thinking. China’s economic liberalization over the past thirty years represents only the latest layer in the region’s deep cultural strata. The duck-rice-poultry niche best-associated with H5N1 persistence resulted from a series of changes to the agro-ecological landscape layered on over hundreds of years, with agricultural practices—ancient (rice), modern (duck), and present-day (poultry intensification)—melding in such a way as to support the evolution of many virulent influenzas. The details are as always critical, although today we’ll focus only on those of the last layer. In the late 1970s, China began to move away from a Cultural Revolution policy of self-sufficiency, in which each region was expected to produce most foods and goods for its own uses. In its place Beijing began an experiment centered about a reengagement with international trade in Special Economic Zones set up in parts of Guangdong, Fujian, and later the whole of what would become Hainan Province. In 1984, fourteen coastal cities were opened up as well, though not to the extent of the economic zones. As a result annual foreign direct investment increased from zero in 1979 to 45 billion US dollars by the late 1990s, with China the second greatest recipient after the US. Sixty percent of the FDI was directed to manufacturing, and given the extent of China’s smallholder farming, little FDI was initially directed to agriculture. That soon changed. Through the 1990s poultry production grew at a remarkable 7% per year. Production for domestic consumption and investments were not confined to chickens, given longstanding consumption of duck and goose. And yet poultry exports grew from six million US dollars in 1992 to 774 million dollars by 1996. The changes were more than merely emergent. They were structured by new legislation and diplomatic efforts. For instance, China’s Interim Provisions on Guiding Foreign Investment Direction aimed to encourage FDI across a greater expanse of the country and in specific industries, agriculture included. Since China joined the World Trade Organization in 2002, with greater obligations to liberalize trade and investment, agricultural FDI has doubled. By the late 1990s Hong Kong and Taiwan’s contribution to China’s FDI had declined to 50% of the total, marking an influx of new European, Japanese, and American investment. Economic liberalization had a fundamental effect on regional husbandry, particularly on ownership structure and geographic integration within and beyond southern China. By 1997, and the first H5N1 outbreak in Hong Kong, Guangdong, H5N1’s source, home then to 700 million chickens, was one of China’s top three provinces in poultry production. Some of Guangdong’s poultry operations were by this point technically modernized for breeding, raising, slaughtering, and processing birds, and vertically integrated with feed mills and processing plants. Foreign direct investment helped import grandparent genetic stock, support domestic breeding, and update feed milling. The majority of breeds used in industrial production were now imported, bred for profit and high rates of capital turnover. At times, production has been somewhat constrained by access to interprovincial grain and the domestic market’s preference for native poultry breeds less efficient at converting feed. Of obvious relevance, production also suffered from less-than-adequate animal health practices. There’s much, much more to the story, including the means and manner by which the agro-ecological edge density changed with the landscape, a story you can find in our 2010 chapter. But suffice it to say for our purposes today, the sum effect for the Pearl Delta, and further afield across southern China, includes the possibility that poultry intensification and the pressures placed on the agro-ecological matrix have squeezed a diversifying array of influenzas long-circulating year-round through something of a virulence ratchet. The resulting viral crop—for 1997, H5N1 by molecular happenstance—is subsequently exported by international trade via Hong Kong and China’s diasporic capital. China, of course, is no ultimate source. We see such dynamics recurring elsewhere. Mexico, for one, the presumptive geographic origin of 2009’s H1N1 swine flu, offers a parallel story, if somewhat different in its specifics (here and here). As Tim Wise shows, NAFTA, neoliberalization of another kind, precipitated an onslaught of grain and meat dumping which forced Mexican domestic producers to either sell off to American agribusiness or consolidate into regional powers able to withstand such market manipulation—with fundamental effects on livestock landscapes and the extent of their commodity chains. The scale of transport now required under such a model increases the likelihood previously isolated influenzas can trade genomic segments—a globalized version of southern China. Indeed, three of the new virus’s segments appeared to originate in the classical swine influenza (HA, NP, NS), three from a North American H3N2-avian-swine recombinant (PB2, PB1, PA), and two from a Eurasian swine recombinant (NA, M) that originated in birds. In short, every one of the new H1N1’s genetic segments is most closely related to those of influenzas circulating among swine, together originating on wholly different continents. So a globalizing agribusiness model appears integral to influenza’s spread and evolution. I talk through more of the details in my 2009 paper. But the trick now rests in merging natural and social scientific approaches to better tease out the mechanisms by which livestock influenzas evolve in a world of our own making. Because of the time I’ll offer only one example from our research program. We hypothesize localities differ in their agro-ecological resilience. That is, in this context they may differ in the capacity to mitigate influenza outbreaks in such a way that the system overall doesn’t shift ecological regimes. To derive measures for such capacity, we applied a first-order multivariate autoregressive model to a number of national-level livestock production and human demographic time series: chicken output/input (as a market of production intensity), agricultural population, duck density, and chicken density. Does an impact on one variable broadcast to the others? And what does that say about the nature of the system? We tested whether a number of the measures we derived from the series correlated with H5N1 human caseload and persistence in poultry. The results showed two measures were indeed related to persistence. However, the direction of the correlation was inverse to what we initially hypothesized. We expected the worst-affected countries, primarily in Asia, here in red, to be the least resilient, not, as we discovered, the most resilient. The unexpected finding offers new hypotheses about influenza’s dynamics. Human cases may accrue despite, or even because of, resilience. The nest of loose agro-ecological ties across host types may allow the virus local host switching even as the impact of the outbreaks is staunched at the system level. In contrast, outbreaks in Western countries characterized by vertically integrated filieres and classified as ‘less resilient’ in our model may more easily spread save only for their rigid biosecurity and biocontainment. Such interventions, applied at great cost, may account for H5N1’s failure to persist in intensive farming. However, failures in biocontainment have been described and the production model may remain an important source from which the virus is regionally spread, including to less prepared places. In other words, the absence of persistent outbreaks in these operations is not synonymous with an inert epidemiology. 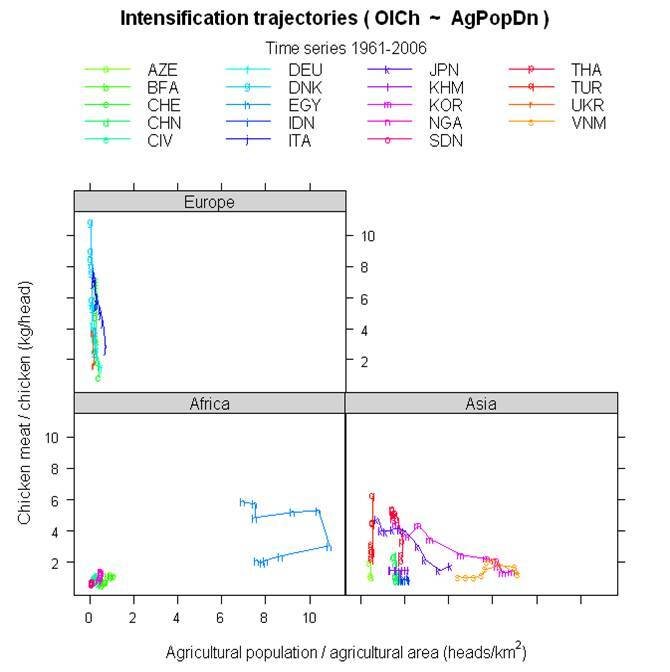 A related explanation centers about the economic transitions many of the developing countries are undertaking, as shown in these intensification trajectories, particularly in Asia and in Egypt. Under such transitions traditional and intensive agricultures coexist. Mosaic landscapes of multiple host types and agricultural sectors, interconnected via loose ecological ties, may allow highly pathogenic influenza strains to avoid extirpation when the number of susceptibles of any one host type decline from disease mortality, culling, or vaccination. Circulating strains are at one and the same time able to locally percolate among smallholders, and by intensive farming, with access to regional food markets, broadcast farther afield. Such mixed landscapes may offer the worse of both worlds. The take-home here is that pathogen dynamics often arise from a multitude of causes interacting across biocultural domains. Study and intervention, it follows, must be based on a multidimensionality public health problems themselves manifest. Otherwise, many epizootics remain intractable no matter what innovative pharmaceuticals are deployed. Indeed, returning full circle, many researchers allow their discipline-specific methods to determine the questions they address–already half the battle–even as those methods are themselves historically dependent. If only by example Rod has rejected what in some quarters are the natural sciences’ pretenses of the end of history, while also rejecting social sciences’ positivist phobias. We are scientists living and working in this place at this point of history. And we should own up to it. Our historicity is, after all, whether we know it or not, part of our investigations from the get-go. Richard Levins pointed out that by serendipity October 17, this day, marks the Day of St. Ignatius of Antioch, the patron saint of unappreciated scholars. I would say if we assimilate anything today I hope it is that we refrain from the Imperium’s imprint in mind and methodology, other than as a target, a historical legacy, and at times a useful technocratic source. That is, I hope we, a people fighting to be free, begin to accept our scientific heroes, and our scientific selves, on our own terms. This entry was posted on November 8, 2011 at 12:33 am and is filed under Ecological resilience, Evolution, Influenza, Revolution with tags China, Deborah Wallace, differential, Dirk Jan Struik, Ecological resilience, foreign direct investment, H1N1, H5N1, historical present, John Ullman, Marx, Mexico, Peter Gould, Rodrick Wallace, Tim Wise. You can follow any responses to this entry through the RSS 2.0 feed. You can leave a response, or trackback from your own site. this is really hard to read with a black background. help!